Earn 850 loyalty points when you order this item. 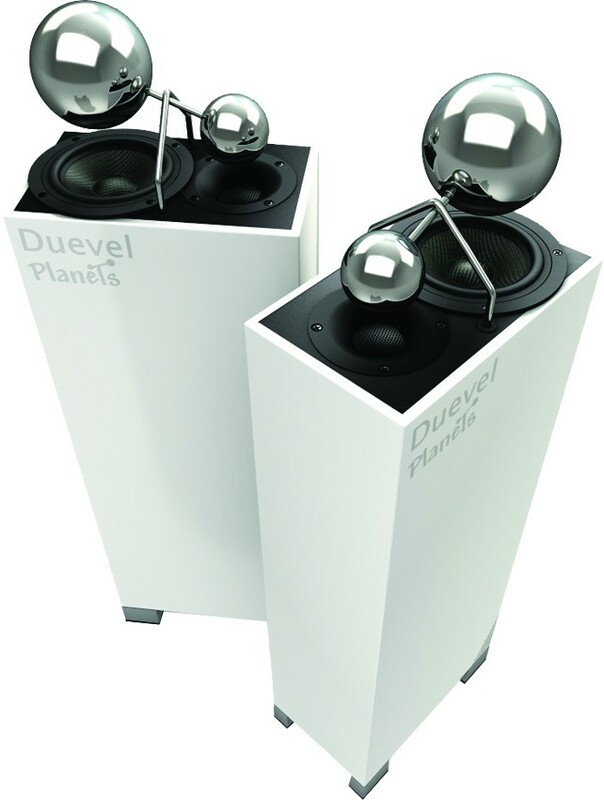 Duevel Planets are a small floorstanding omni directional loudspeakers, but don't let their size fool you - the Planets play BIG, with an expansive sound that's difficult for any traditional speaker to beat - in Black, Blue, Green, Red, Silver or White. 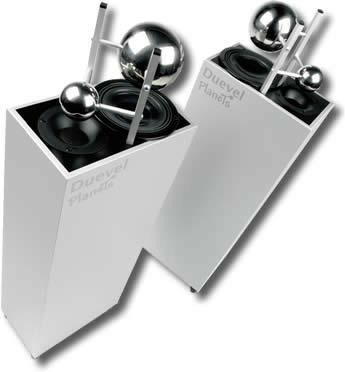 If you're looking for truly high performance speakers that are a little bit different on a strict budget, the Duevel delivers a perfect solution. Casting aside typical box speaker design, we have broken through a new sound price barrier. Combining years of design experience and great success in the field, the Planets are nothing short of remarkable. Utilizing a 5" woofer and a 1" horn loaded tweeter, simple and ingenious crossover technology, reflective spheres and a finely tuned bottom ported cabinet results in a speaker which performs well beyond the imagination. Deep taught bass notes, midrange glow and clarity, fast transparent highs provide the listener a rare musical experience at a highly competitive price point. Firstly let me thank Audio Affair and their staff for the excellent service, these speakers had to be ordered in and they kept me appraised of the progress until they received them yesterday and I received them this afternoon ! The speakers are a revelation, I was not 100% certain as to how an Omni directional speaker would perform in my room, it should not be possible to get such control and depth from a speaker of this size, however the sound is incredible from rock to Bluegrass to classical these speakers perform with exceptional stature (although they are petite in size). 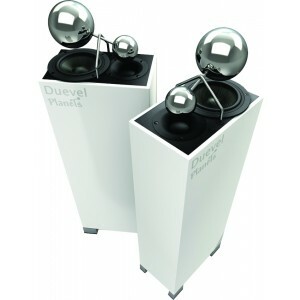 I cannot recommend them highly enough in terms of sound quality and aesthetically I find them exceptionally pleasing as well !! 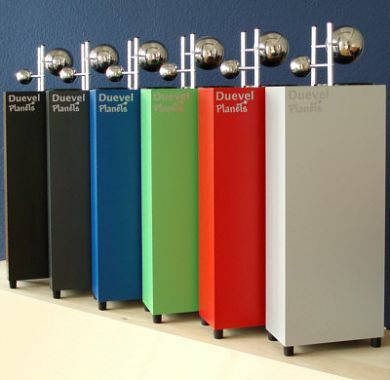 All in all a 5 star speaker delivered with 5 star service, a very positive buying experience.